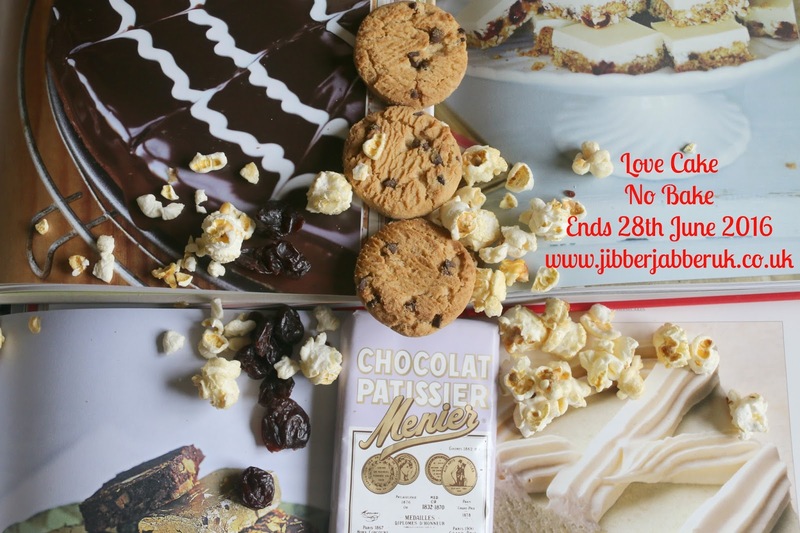 We've kept the oven firmly off for this month's Love Cake theme of 'No bake'. Let's have a look at what you have been making but not baking this month. Helen at Family Friends Food took cheesecake, deconstructed it and then put it back together for Quick and easy cheesecake popcorn cups. It is a combination of popcorn coated in vanilla and cinnamon flavoured cheesecake topping. Sometimes you just need to let someone do the baking so Jean over in France at Baking in Franglais sought out some shop bought cake in order to put her Mini Fraisiers together. 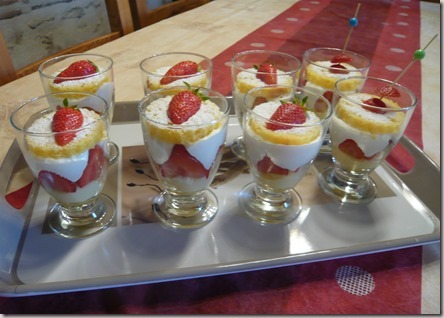 These individual servings have layers of Cointreau soaked cake, crème patissière, strawberries and cream. I went for the chocolate option this month with a No bake Rocky Road. Dark and milk chocolate are melted together and then mixed with biscuits,glacé cherries, and Brazil nuts before being chilled. Thank you to Helen and Jean for joining in this month. I'll be back in a couple of days when we will be celebrating the great British summer – I've put an order in for it to turn up!